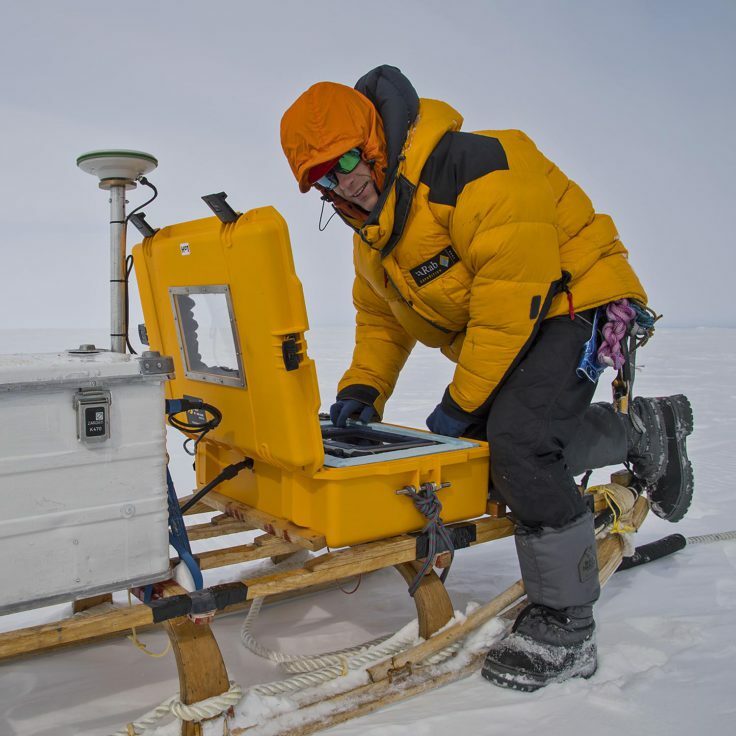 The ApRES instruments yield time series of ice shelf thickness change at precisions of ~1 mm. Measurements taken over a 10-day period will generate information about derived melt rate of a few cm per annum or better. The is used improve the performance of ocean models. ApRES phase-sensitive radar is a low-power, light-weight instrument developed in a collaboration between BAS and University College London. It is a 200-400 MHz FMCW radar, with a 1-second chirp, run by controller: housed within its characteristic yellow box the radar and a 100 AH battery is buried in a shallow hole. The radar’s transmit aerial and receive aerial are spaced 5 meters each side of the yellow box and are also buried. Each system will record for a nominal 12 months and has the ability to process and send, via satellite link, melt-rate data.